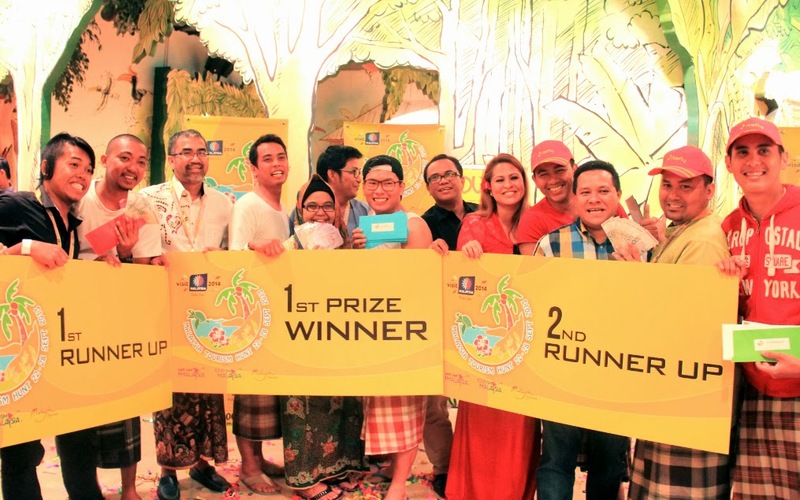 EAZY Traveler Wins at Malaysia Tourism Hunt 2013! Team 19 aka ‘Fantastic Four’ – 2nd Runner Up at Malaysia Tourism Hunt 2013! Besting a total of 20 teams, our group, Team 19 – dubbed the “Fantastic Four” – won 2nd runner up at the recently concluded Malaysia Tourism Hunt 2013, a week-long Amazing Race-inspired self-drive challenge, where we traveled a distance of over 1000 km in Proton Preve cars along the southwest coast of Peninsular Malaysia! My awesome team mates were Malaysian lifestyle blogger Hisyamudin Fadzil aka “Kid” of www.shakiddo.com, Malaysian broadcast journalist Annahita Bakavoli, and Indonesian TV host Akmal Ismail of “Jalan-Jalan Jajan”. We won hotel accommodation, free flights aboard Firefly and RM 2,500 in cash! The Malaysia Tourism Hunt is an annual tourism promotional program organized by Tourism Malaysia and Gaya Travel Magazine that combines the “Fly and Drive” concept with various tourism exploration activities such as folk games, treasure hunts and corporate social responsibility (CSR) activities. This year, a total of 80 Malaysian and foreign media participants took part in the second edition of the program from September 22 to 28. 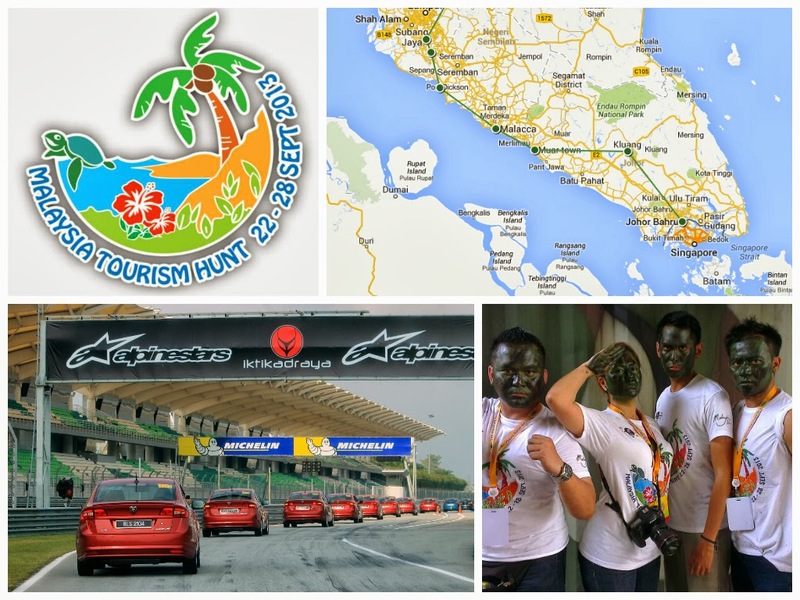 Over a course of six days and five nights, 20 teams drove from Putrajaya to Johor Bahru, via Sepang, Port Dickson, Melaka, Muar, Kluang and Nusajaya. 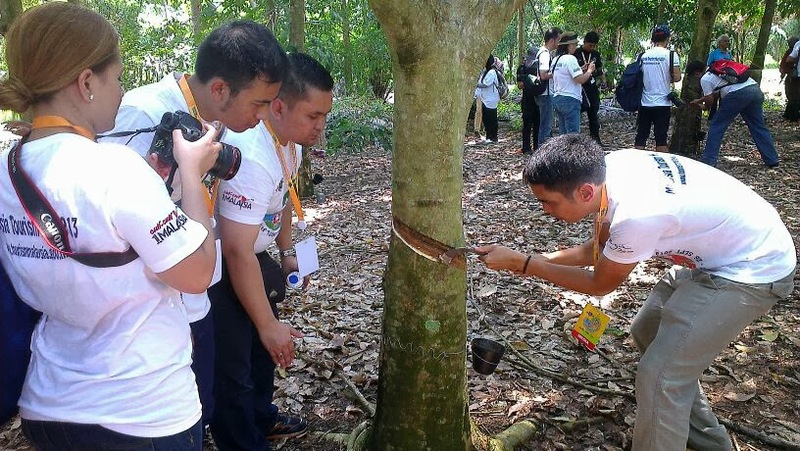 Among the types of challenges that participants faced throughout the event included photo hunts, scavenger hunts, Amazing Race, Fear Factor, and many others. 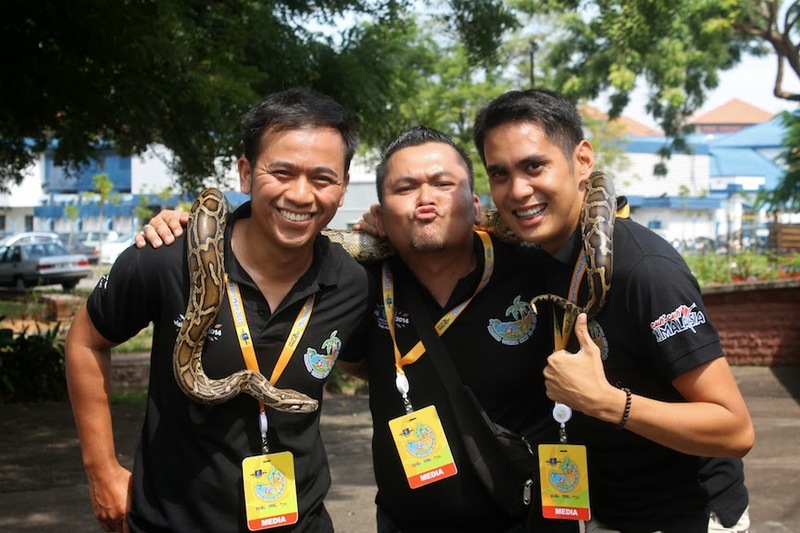 At the Melaka photo hunt, we had to search for the “Snake Man” and pose with a python! My favorite destinations during Malaysia Tourism Hunt 2013 were the UNESCO World Heritage-listed old town of Melaka where we had to scramble around the historic city on a photo and treasure hunt; Banghuris Homestay in Sepang where we experienced kampung (village) challenges like palm fruit harvesting, coconut leaf broomstick making, coconut grating and coffee picking; and Hang Tuah Centre in Kampung Duyong – the birthplace of legendary Malay warrior Hang Tuah in Melaka – where we played sepak takraw and gasing (top), made a wau bulan (traditional moon-kite), and learned some basic silat (martial arts) moves! Awarding ceremony at Lat’s Place in Johor Bahru, Johor. Photo by RP Ocampo. I would like to thank Tourism Malaysia, Gaya Travel Magazine, Firefly, Proton (official car sponsor), Starbucks, and our wonderful hotel partners: The Everly (Putrajaya), Grand Lexis (Port Dickson), Hatten Hotel (Melaka) and Puteri Pacific (Johor Bahru). Okay, now, i am really envy. Treat me again! Not magnum! Sounds sooo fun! Congrats! Dami pang TV guestings. Naksss! ahaha Amazing Race! I’m sure you are aware of my competitiveness! congratulations again! we’re super proud of you Mr. Sociable! International artist ka na! Haha thanks so much Gael!